Louise Carey has been writing since a young age. Having co-authored her first graphic novel at age 15 with her father Mike Carey, she has since written in a wide variety of mediums and worked as head editor of The Storygraph, a student fiction magazine. She, her father and her mother (Linda Carey) have since written books together; ‘The House of War and Witness’ and ‘The Steel Seraglio’, optioned for a film by Stephen Susco. Louise also wrote a promotion short story for Seraglio, titled “The Wastrel and the World’s Axle’. Louise continued to write comics with her father in her adult life, co-writing ‘Confessions of a Blabbermouth’ with Mike Carey for DC Comics’ Minx imprint. 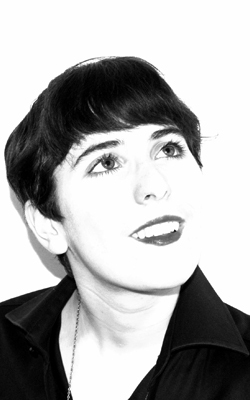 Like her father, Louise has involved herself in various mediums of storytelling such as her Twitter length flash fiction featured in several magazines and a mobile game script for ‘A Second Chance’; a choose your own adventure game commissioned by Games2Win. With a master’s in Psychology from Oxford Brookes and having read English at Oxford, Louise is now writing her first solo novel.